Deciding to hire out your beach hut is a big decision. There are many pros and cons of hiring out your beach hut and I know many beach hut owners who have struggled with deciding whether this is something they should do. Whether you are looking to recover some of your running costs, aren’t using your beach hut as much as you thought you would or you’d just like to share your home on the beach, these 10 pros and cons will help you weigh up your options. The most obvious pro to hiring out your beach hut is the income that you could receive. As beach hut owners we know that the costs associated with buying a beach hut didn’t stop post that initial outlay. Those ongoing costs that I outlined in my previous blog on buying a beach hut all add up. It really is amazing how quickly the year passes and another set of licence fee and insurance invoices appear. Hiring out your beach hut can help cover those ongoing costs and may even repay some of the initial outlay that you made. One of the most common mistakes that I see beach hut owners making is not valuing the time they spend on running their beach hut hire. From answering emails and social media enquiries to answering basic phone calls. Yes, you may enjoy speaking to those who are booking with you and these may be aspects of hiring out your beach hut that you actually enjoy but what is the real cost of this time spent on these activities? This can be further exaggerated if you are spending this time for one beach hut (e.g the cost and time of setting up a website for just one beach hut versus several). From personal experience, I really underestimated this during my first year of running Millie’s Beach Huts. While enjoyable, I wasted a lot of time communicating with guests to collect deposits, finalise bookings, send them information which if I was to cost my time would have far exceeded the income that I received. This was often out of hours due to having a full-time job but also that guests tended to contact you out of hours. I spent the following winter investing both time and money into automating the end to end process which had the added benefit of improving the booking experience for guests too. You love your beach hut but you’re not quite getting the most use of it or may be looking to release money for financial reasons. But you recognise that you could just be at a time in your life where you have other priorities and aren’t quite ready to part with an asset which could increase in value. If you are someone who has had their beach hut in their family for many years or looking to start a new tradition of passing it down to your family, selling is the very last option you want to be considering. If you are really unsure whether selling is the right thing longer term, hiring out your beach hut is a real option for you to consider and may also give you some time to fully consider a decision to sell. I would strongly urge you as an owner to not assume that your beach hut value will just continue to increase and for this to be your primary motivator in retaining your beach hut. Do review all of your potential outgoings in detail and decided whether it’s worthwhile for you personally. This is by far the most quoted reason not to hire out your beach hut that I hear from other beach hut owners. For many of us our beach huts are extensions of our homes and welcoming strangers into them seems like an alien concept as we struggle with trust. What if they don’t treat it with the love and care that it deserves when you’ve put so much effort into its decor and contents? When I first set up Millie’s Beach Huts, I had several other beach hut owners make dismissive comments to me about the value of goods that I was putting into each beach hut. In particular putting in Cath Kidston china raised lots of eyebrows even from my own family. But I had a vision of the experience I wanted to create for our guests and also how that would impact my hire pricing. Throughout this time, I have not had a single high-value item damaged. There are some items that will by their design incur damage. I have replaced deckchairs where they haven’t stood up to wear and tear (and now longer have them in the beach huts as feel they don’t add value and risk of a guest falling through one when using). I have also replaced buckets and spades which tend not to be great quality and get a lot of use. Personally, I think what it comes down to is the type of clients you are looking to attract through your choice of decor and styling. Also when a guest see’s the love and care that has gone into a beach hut, they treat it with the same respect too. There have been times post a hire that we’ve wondered if the hut has been used as it’s been left in immaculate condition. Despite my own experience with breakages, do ensure you account for breakages in your pricing. The replacement stoves and buckets and spades are all accounted for within my pricing. These are items that I budget to replace each year with an additional small contingency for other items. You can’t avoid the basic fact that a beach hut is expensive. While there are many reasons why beach huts are expensive by default, it can make them unaffordable or something that people aren’t prepared to spend money on. They don’t see the value in spending up to the dizzy heights of £250k on a ‘shed’! However they say at the beach restores your soul and the addition of a beach hut for the day, can help create a day of wonderful memories. By offering up your beach hut for hire, you are helping those families experience something they may not have been able to. If you were to hire out your beach hut for the full six weeks of summer, you could have over 300 people using your beach hut (based on up to 8 guests each day). As I mentioned above there are certain items that will due to their design bound to need to be replaced such as buckets and spades and gas stoves. However, you do also need to take into account the increased wear and tear to your beach hut for this increased usage. Think internal painting and flooring in particular. I now anticipate an internal repaint of all beach huts once a year and either a replacement of flooring or repainting the floorboards once a year too within my ongoing costs budget. You may not find you need to do this as much but keeping the standard of your hut to that your guests expect is key to retaining their repeat custom and thus spending less time attracting guests. If you’ve never hired out your beach hut before, you may need to make some adjustments to your beach hut before doing so. This could be to improve usability for guests and/or ensure it’s attractive to your ‘ideal’ guest. You’ll find you will want to add items such as guest books, single stoves and lots and lots of spare gas bottles, tea, coffee and even a water carrier to make it easier to fill up that kettle! Pinterest is a particularly great source of inspiration for decor and style ideas and I’ve brought together a few boards which may help you get started too HERE. My biggest tip is to ask some friends or family to use your beach hut for the day before you start to hire out. Ask them to act like a guest from booking to arrival and leaving your beach hut and let them critique. You’ll find the feedback invaluable. Remember that if you do decide to really limit your upfront costs in terms of style and contents, this could impact your hire price and you’ll need to find a balance that works for you and your guests. I am also aware of one location where the licence fee is increased if you hire out your beach hut. Do ensure you check your licence. Now I know several owners that really didn’t think this through and it’s worth spending some time ensuring that you are fully up to date and aware of all associated legal aspects. Checking that you are allowed to hire out your beach hut, public liability and the implications of receiving income to your own personal tax situation should be top of your list. Many forget that any profit you make from hiring out your beach hut may be liable to tax depending on your own personal circumstances. You may wish to consult an accountant to ensure you are aware of any actions you need to take. You will also need to consider terms and conditions for your beach hut hire to ensure guests are fully aware of your policies including payment, numbers of guests allowed and your cancellation policy. These all do sound a little scarier than they actually are. Take your time, seek advice and ensure you stay on top of it as all of these aspects are subject to change year on year. I continually turn away guests throughout the peak season and on particularly popular dates such as Father’s Day. This is despite expanding the number of beach huts I have had available for hire this year. At the same time, I constantly speak to people who aren’t aware that they can hire a beach hut. The demand continues to grow as that awareness increases through the national press coverage I’ve received. Those who do experience a day in a beach hut come back year after year. While that awareness grows, my repeat custom has also grown so much that I launched our own membership package – Millie’s Beach Hut Club. If you have others in the same location as you hiring out, then take a look at their websites and social media accounts to get a feel of how busy they are. Do remember that this may not be an accurate indication of the market as they may not be pitching their marketing quite right or ensuring that they are well known. However, it will give you an early feel for demand. If you do make the leap and decide to run your beach hut hire as a business then you’ll also be jumping into the world of marketing and social media too. This can be great fun and I know I’ve personally learnt so much about websites, search engine optimisation, Instagram, Facebook, Pinterest and well every social media platform that is out there to support the marketing of the beach huts. Hey, you wouldn’t be reading this blog if I hadn’t continued to develop those skills. If you are someone who enjoys learning and takes the time to research and ensure you are getting the most out of what you do, you’ll love this aspect of running your beach hut hire. Have You Decided to Hire Out Your Beach Hut? Deciding to take the leap and hire out your beach hut can be exciting but also a little scary! You are essentially going into business for yourself. While I see many others treating this is a hobby, it really should be given the same consideration to avoid any issues occurring. However, I can promise you that when you welcome your first guest into your beach hut, there is no feeling like it. No matter what is going on my life, receiving those photographs and knowing I’m playing a part in our guests creating memories is priceless. That feeling far outweighs all the lows that there have been during the Millie’s Beach Huts journey. Just ask some of the owners in our dedicated facebook group for Beach Hut owners. Those owners who do hire out are always more than happy to help with advice. Whatever you decided to do, it may be worth considering whether we can help. 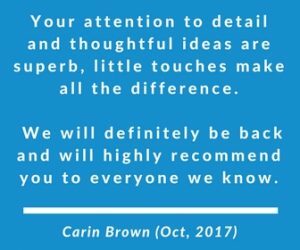 If you are looking for help with a particular problem or not quite sure where to start, we can help you. If you’d like to join our waiting list for our free oline course or management services then just pop in your details below. You could also schedule a call with me now for a no obligation chat. Love your Beach Hut but don't love the associated running costs? 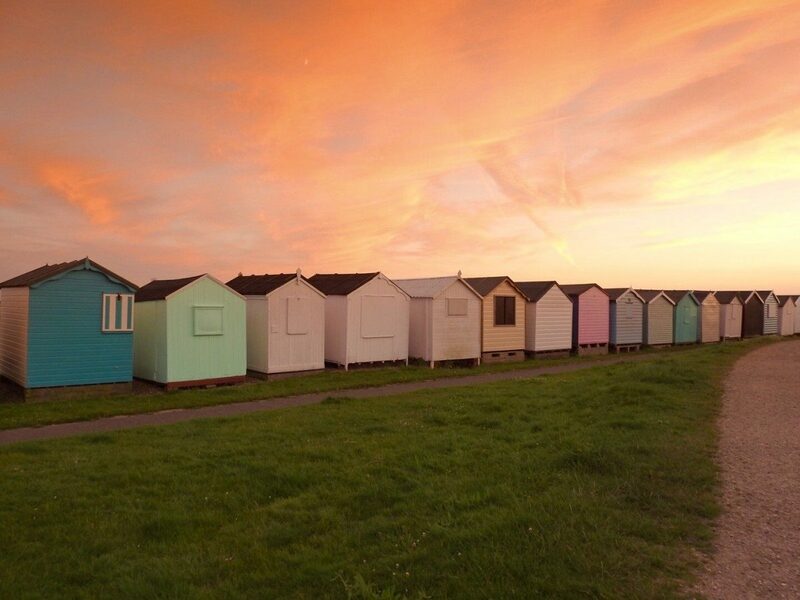 Pop your email in below to receive our free courses and hints and tips to make your beach hut hire successful.